Latest and fully updated TDS Rates / TDS Chart for A.Y. 2011-12 / Financial Year 2010-11 with all the amendments till the date of publication of this article is given below. In Budget 2010 TDS rates has not been changed but cut off amount has been proposed to be increased under some sections. The Increased Limits are effective from 01.07.2010. The below given chart is about TDS Rates for F.Y.2010-11 (A.Y. 2011-12) i.e from 1-4-2010 to 31-03-2011. The below give TDS after all amendments done by the CBDT notifications and circulars. The TDS rates chart has mentioned for all payment and about payee status to deduct TDS accordingly. Where income referred in Sections 193, 194A, 194C, 194D, 194G, 194H, 194I & 194J is credited to account of payee as on date up to which accounts are made, TDS has to be deposited in Government Account within 2 months from the end of the month in which the date falls. Also where the aggregate of the amounts paid/credited or likely to be paid/credited to Contactor or Sub-contractor exceeds Rs.75,000 during the financial year, TDS has to be made. An Individual or a Hindu Undivided Family whose total sales, gross receipts or turnover from business or profession carried on by him exceeds the monetary limits(Rs.60,00,000 in case of business & Rs.15,00,000 in case of profession) under Clause (a) or (b) of Sec.44AB during the preceding financial year shall also be liable to deduct tax u/s.194A,194C, 194H, 194I & 194J. No deduction shall be made from any sum credited or paid or likely to be credited or paid during the previous year to the account of a contractor during the course of business of plying, hiring or leasing goods carriages (less than 2 goods carriages) on furnishing of his Permanent Account Number, to the person paying or crediting such sum. TDS at higher rate i.e., 20% has to be made if the deductee does not provide PAN to the deductor. TCS is to be credited to Government Account within one week from the last date of the month in which collection is made. Surcharge on Income-tax is not deductible/collectible at source in case of individual/HUF/Firm/AOP/BOI/Domestic Company in respect of payment of income other than salary. In the case of Company other than Domestic Company, the rate of surcharge is @ 2.5% of Income-tax, where the income or the aggregate of such income paid or likely to be paid exceeds Rs.1,00,00,000. Education Cess is not deductible/collectible at source in case of resident individual/HUF/Firm/AOP/BOI/Domestic Company in respect of payment of income other than salary. Education Cess @ 2% plus secondary & Higher Education Cess @ 1% is deductible at source in case of non-residents and foreign company. Other deductors/collectors have the option of filing Quarterly Statements either in Electronic Media or Paper format before the TIN Facilitation Centres of NSDL. · To apply for Tax Deduction Account Number (TAN) in form 49B, in duplicate at the designated TIN facilitation centers of NSDL(please see www.incometaxindia.gov.in), within one month from the end of the month in which tax was deducted. · To quote TAN (10 digit reformatted TAN) in all TDS/TCS challans, certificates, statements and other correspondence. · To deduct/collect tax at the prescribed rates at the time of every credit or payment, whichever is earlier, in respect of all liable transactions. Interest at the rates in force (12% p.a.) from the date on which tax was deductible/collectible to the date of payment to Government Account is chargeable. Penalty equal to the tax that was failed to be deducted/collected or remitted is leviable.In case of failure to remit the tax deducted/collected, rigorous imprisonment ranging from 3 months to 7 years and fine can be levied. 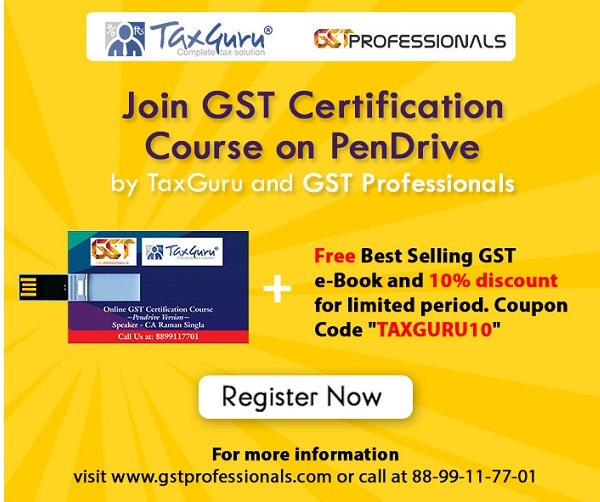 • For each type of failure, penalty of Rs.100/- per day for the period of default is leviable. Maximum penalty for each failure can be up to the amount of TDS/TCS. Deduction at lower or nil rate requires certificate u/s.197, which will take effect from the day it is issued. It cannot be used retrospectively. If TDS/TCS certificate is lost, duplicate may be issued on a plain paper giving necessary details marking it as duplicate. Refund can be claimed by the deductee on filing of return of income.